There is one undisputed truth about the Milwaukee Brewers farm system since the Doug Melvin era began: this is an organization that has not struggled to produce home grown hitters. The names abound on the big league club - Corey Hart, Ryan Braun, Prince Fielder, Rickie Weeks. All Stars and league leaders. But all of them seemed to come through the minors at different times, never once did all four of those players play a minor league game together. That's not always the case though. 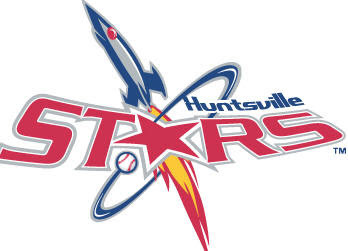 Just two years ago one Milwaukee affiliate was flush with Major League talent: the 2008 Huntsville Stars. Over the course of that season the Stars featured a remarkable six prospects who now seem poised to have productive major league careers. The most clearly visible member of the team to current Brewer fans, Alcides Escobar was manning short for Huntsville that year. He finished second on the team with 237 total bases and batted a stellar .328. 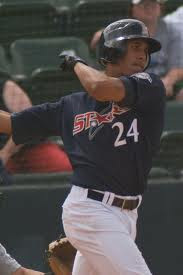 Escobar's 179 hits led the Southern League, he was an All-Star and he drove in 76 runs - more than 20 over his previous career high. Escobar spent a fair amount of time batting towards the top of the order, leading the team with 34 stolen bases and finishing second with 95 runs scored. He would spend the entire season in Double-A before receiving a call-up to the big club in September. He now finds himself as the starting shortstop for the Brew Crew, batting a rookie acceptable .253 and playing everyday. Escobar will be the shortstop for years to come in Milwaukee and it wouldn't be a stretch to point to 2008 as his breakout offensive season. He was the biggest name on the roster when the season started, a college hitter with light-tower power. Matt LaPorta definitely made his mark on the franchise, even though he may never play a game for the Brewers. Batting in the middle of the Star's lineup, LaPorta just hit. He slugged 20 home runs and sported a .402 OBP, which was the best among everyday players. LaPorta managed to lead the team in home runs despite playing in only 84 games for the Stars. And why did LaPorta play in only 84 games? Because he was the centerpiece of the C.C. Sabathia trade, a trade that gave Milwaukee it's first playoff appearance since 1982. After moving into the Cleveland system LaPorta finished out 2008 quietly. He hit .233 with only two home runs in his final 17 games. Now LaPorta finds himself entrenched with big club, getting his chance to play every day for the Indians. His numbers haven't impressed yet, in 124 big league games between this season and last he has 14 home runs and is batting only .254. But power like that doesn't just go away and somehow I doubt LaPorta will either. Not everyone can steal the headlines or a pivotal piece of a season changing trade. Sometimes there are players who just produce, year in and year out. The role player, the consistent at-bat. For Huntsville in 2008, that was Cole Gillespie. When all eyes were focused on Matt LaPorta and the flashy Alcides Escobar, Gillespie did what he did every year - put up a solid but not spectacular season. He very quietly finished second with 79 RBIs, first in walks and doubles; all while batting a very nice .281. He would spend all of 2008 with Huntsville and ultimately be traded to the Arizona Diamondbacks in 2009 for Felipe Lopez. Now Gillespie finds himself on the cusp of the major leagues, having seen time with the D-Backs early in the season. 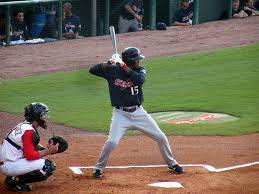 He's hitting .304 for the club's triple-A affiliate and seems poised to earn at least a backup role come 2011. Gillespie wasn't the star for Huntsville in 2008. But he produced, he filled a role. There was a lot of speed in the Star's lineup in 2008. The player Milwaukee fans recognize with that speed was Escobar. But the fans of Cleveland have their eyes on a different burner, Michael Brantley. The "Player to Be Named Later" in the Sabathia deal, Brantley was far from a throw-in. The son of a former big-leaguer, he was the quintessential leadoff hitter for the 2008 Stars. He hit .319 with a .395 OBP and rarely struck out, only 27 times in 420 at-bats. Brantley finished third on the team with 80 runs scored and second with 28 stolen bases. There are some that believe he will have a better major league career than his partner in the trade, LaPorta, but that has yet to materialize. Brantley has seen playing time with the Indians in parts of 2009 and 2010 and has managed only a .243 batting average in 58 games. But Brantley has speed, he's a lefty bat and he is hitting .319 for Triple-A this season. He has a very bright future. If there was a hitter in the lineup more dominant than Matt LaPorta, it was his like-named third baseman. 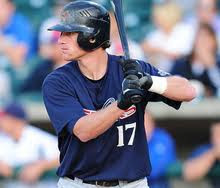 Mat Gamel didn't have a good year for the 2008 Huntsville Stars, he had a spectacular year. The season prior Gamel had committed 53 errors and seen his power production dip to only nine home runs. There were two directions he could go - up or down. He went up, way up. Gamel led the team with 96 runs scored, 96 driven in and 273 total bases. He was second with 19 home runs and 35 doubles. He became the organizations top prospect after that season and still remains in most top five lists of Milwaukee prospects. After an up and down 2009 and early 2010 Gamel seems ready to capture a big league spot next season. The C.C. Sabathia trade may have been the turning point in the Brewers playoff run, but it decimated Huntsville's starting outfield. LaPorta in right field? Gone. Brantley in center field? Gone. Two-thirds of a starting outfield suddenly needing to be replaced but who would fill the hole? 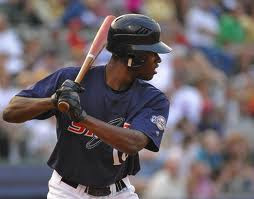 Enter Lorenzo Cain, the five-tool outfielder who had been on the radar of farm reports everywhere since he was named MVP of the Arizona rookie league as a 19-year-old first year professional. Cain stepped into Center field and performed admirably for the season's remainder. He played in 40 games for Huntsville batting .277 with 21 extra-base hits. 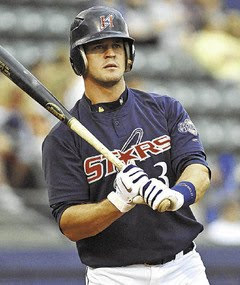 Cain saw time at three different levels for the Brewers that year, Low A, Triple-A and finished the season with the Huntsville Stars. It was a lost 2009 for Cain though, as a knee injury derailed him early and kept him from really hitting his stride. Prior to the injury there was a great deal of talk about Cain winning the opening day center field job in 2010, but instead he wound up back with Huntsville. There he raked, batting .324 before a promotion to Nashville where he *only* hit .299. Now? Cain finds himself the starting center fielder of the Milwaukee Brewers. A replacement yet again. In his first 19 at-bats he's managed nine hits and impressed with his defense and approach at the plate. Replacement doesn't mean bad. At the helm of the 2008 Huntsville Stars was former Brewer Don Money, who now manages the Nashville Sounds. Money's boys jumped out to a very fine first half, finishing 41-29 in a tie for first place. However the team they tied with, West Tennessee, beat them in a one game playoff (winner takes the division and locks up a spot in the Southern League post-season). That meant no playoff birth based on the first half performance. In the second half, promotions and the Sabathia trade paid it's toll on Huntsville. The team finished just 32-38, in third place in the division and failing to make the postseason. Statistically though, there wasn't a better offense in the southern league. Despite having the youngest average age for hitters in the league, the Stars scored more runs, had more hits, more total bases, a higher batting average and OPS than the rest of the league. They finished second in home runs, third in triples and fourth in doubles. All of this while striking out less than seven of the leagues nine other teams. It's rare to see an offense click so consistently and impressively at any level of baseball and those fans that did see the Stars play in 2008 were treated to a terrific showing. But the role of the minor league affiliate is to help the big club and between trades and promotions this impressive group of prospects never really stood a chance to stay together. But wouldn't it be something if they did? Now the ethical of this story is that you may tend to fixate on what you'll be able to see along with your eyes. As humans, it's the most animal [*fr1] of our nature. When you examine the changes and transformations in several folks's lives, you see the sweetness and smart luck that someone had in being at the right place at the right time and disrespect the struggle they endured.